travel: seattle | eat. drink. fly. seattle may not seem like an overly exciting destination for travel… especially when you live in vancouver (aka – seattle’s cooler & better looking sister) but it can be fun for a weekend. truth be told, i’ve been to seattle 3 times. once in grade 12 for a photography day trip (1997). once with sony music to see franz ferdinand overnight (2004) and once for an incubus show overnight (2007). i’ve also been in their airport transiting twice… does that count for much? for someone that’s lived just 2.5hours north of it for my whole life, it’s definitely not a lot. while i know it’s a beautiful fun city, it’s just so much like vancouver that i haven’t been overly motivated to cross the border, spend american money, drive several hours and pay for a hotel to enjoy it. and on the other hand, i haven’t really had the opportunity to do so… it’s not like the seattle invites come fast and furious attcha every weekend. but this weekend, it’s care of my boss. we’re heading down this morning and will be back on sunday. effectively doubling my seattle time in my life up to this point. the schedule is fairly fixed, but will allow for a little free time tomorrow morning and i’m hoping to either get in some shopping or maybe even to the science fiction museum. it will factor greatly on my hangover. but mostly i’m looking forward to wandering and exploring. so i sure hope the rain stays away. i’m guessing either today or tomorrow we’re doing an epic scavenger hunt. my boss loves those things. so there will be lots of photo opportunities i imagine. and you know, even if the weather is no good, i’m taking my waterproof camera, so i should be able to get some fun pictures. we’re staying at the beautiful fairmont olympic. 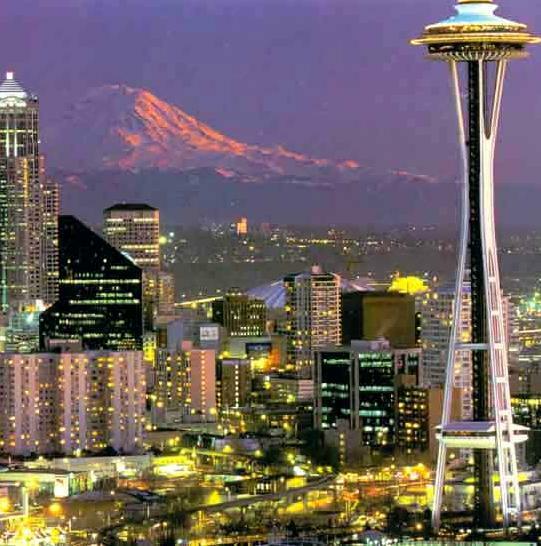 which i’m also excited about… although my last stay in seattle was at the W, so i’ll have high expectations. one thing i’d very much like to do, that i don’t think will happen is visit the experience music project. i’ve been wanting to go since it opened, but never had the opportunity. no one that drives has been keen to do a specific trip with me for it, and my past seattle visits have been with purpose and no time/interest in deviations from the plan. so, EMP will stay on the list of things to do “one day” when i go back to seattle… judging by my track record, that’ll be in about 5 more years, lol. we’re being wined and dined this trip, so the restaurant selections will be out of my hands, as will pretty much every other decision, and that’s exciting to me. since my seattle experiences are so limited, it’s like everything is brand new to me. and the majority of my coworkers seem to know if very well, so i’m in good hands. i’m really looking forward to making no decisions and just going where i’m taken. rumour has it there will be some dancing at a gay bar tonight. things with my work folks tend to get out of hand. very quickly, lol. full censored report to follow… have a great weekend!